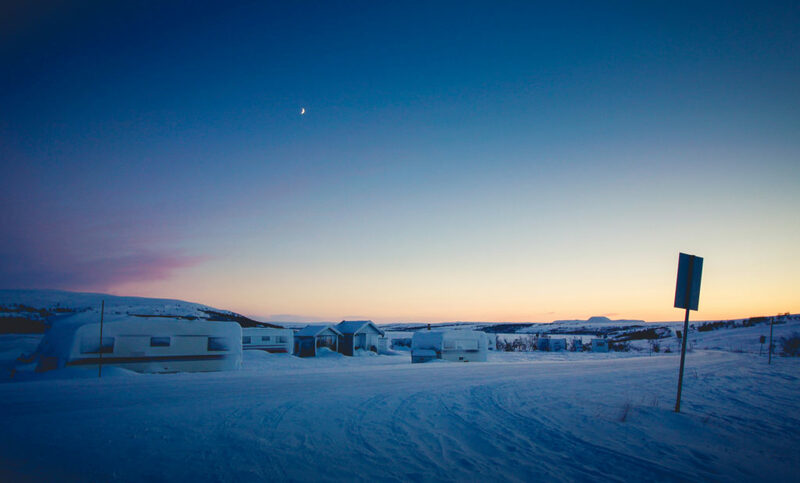 A mini-adventure up into the Arctic Circle. We only had a few days for this trip, but Norway is a pretty spectacular place, and cramming those days full of amazing experiences was never going to be difficult. 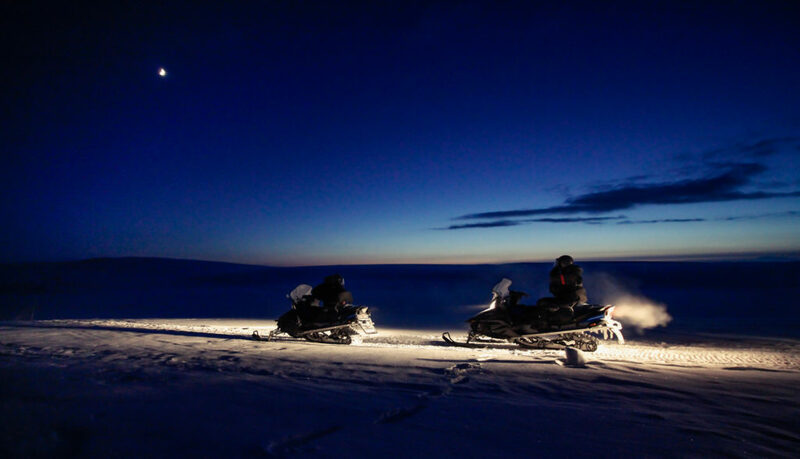 Aurora-chasing, Husky-sledding, snow-mobiling, (trying to) sleep in a teepee and keep the log-burner going through the night… and more. 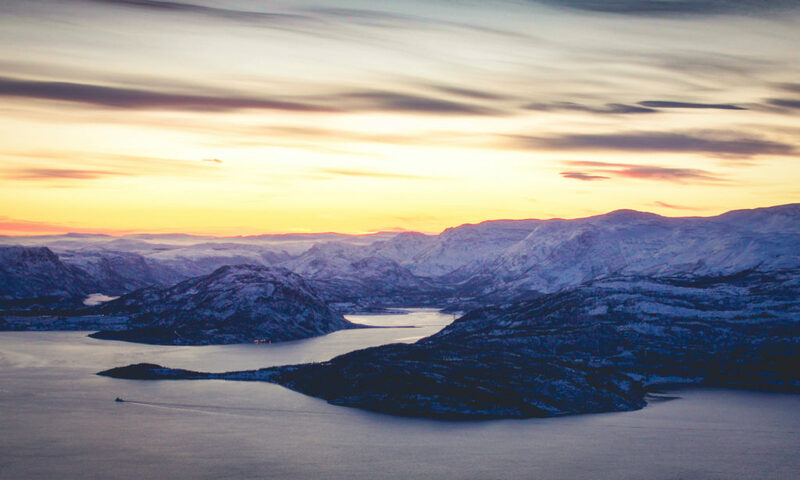 We flew into Alta, the second northernmost city in the world with over 10k inhabitants. Way up in the Arctic circle at nearly 70° North, it is quite a bustling little city, despite it’s rather remote location. 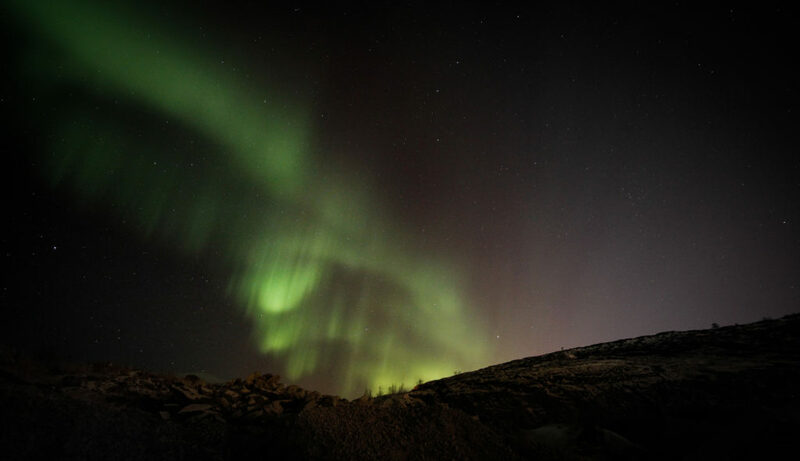 First on the agenda was an Aurora hunting expedition by van around the local area. 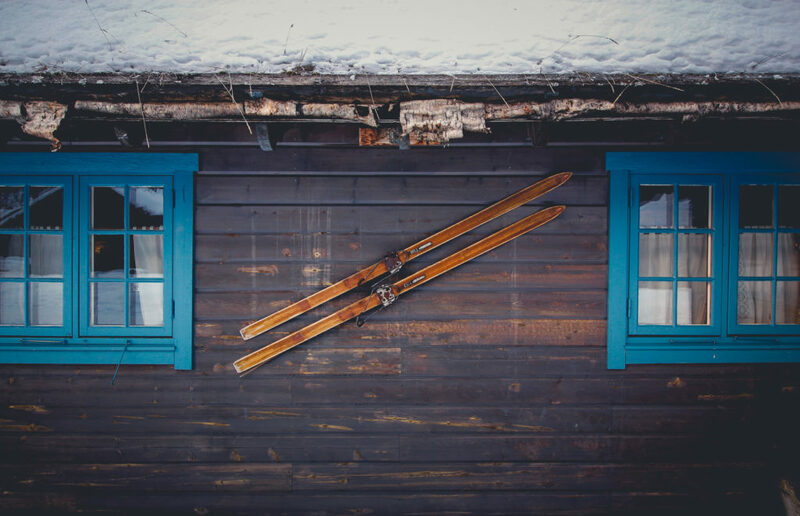 We were taken to several locations with varying levels of wind-swept, icy & deep snow. We saw a few hints here and there of the Aurora, but they were being shy for most of the evening. We were glad of the diesel heater in the van, as trying to stay outside for your eyes to adjust to the darkness, in the howling wind and -20°C temperatures was tough going. Oh, and the hot chocolates. There were some seriously rich and delicious hot chocolates brewed up for us by our enthusiastic guide. We were starting to wonder if we’d get a decent showing, and as the evening started to draw to a close, our guide suggested one last location down by the coast where he thought we’d get some clear skies. It was worth the wait… upon decamping from the van, ribbons of green began to ripple across the sky. Right place, right time. Next on our whistle stop tour of the Arctic involved building up some heat, and then dealing with the cold overnight! We spent a day with an amazing pack of huskies and some great guides, sliding around the snowy wilderness on the back of sleds. 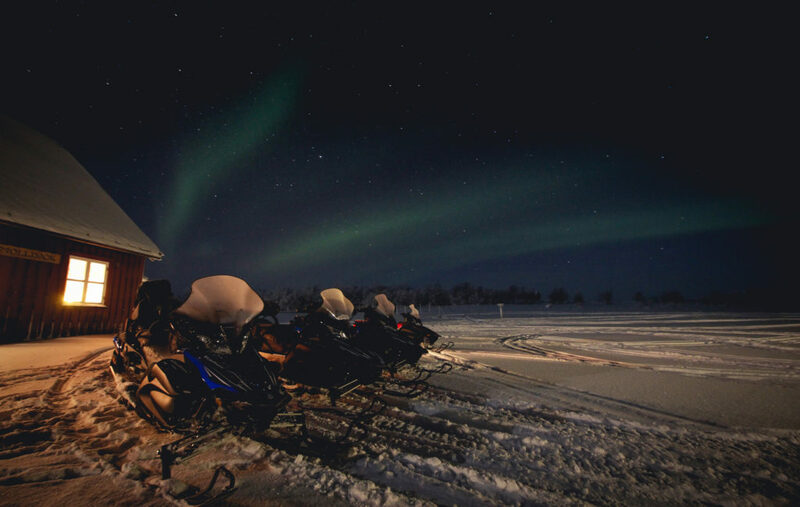 With 6 dogs per sled, you don’t want to be caught napping with the brake mat (a piece of what looks like doormat hung off chains between the sled’s runners – you transfer your weight onto the mat to create some drag and keep the dog’s rampant enthusiasm in check). The dogs are so desperate to run (and they know it’s coming too) that when that first command to run is given, they, and your sled, hopefully with driver still attached, properly rocket off down the trail. A mid-way rest stop gives chance to get better acquainted with the dogs, and it’s no chore to give them all plenty of fuss and lots of “who’s-a-good-boy” to reward them for their efforts. Although they obviously are doing the lion’s (wolf’s?) 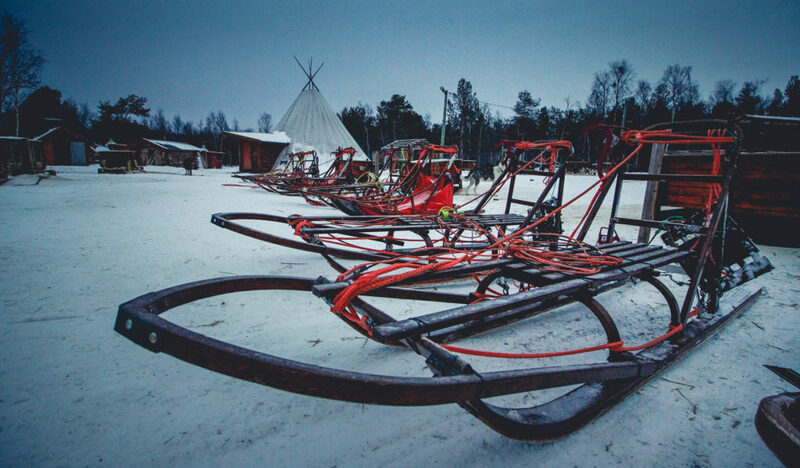 share of the effort, hanging on to the sled, controlling the speed, and throwing your weight around in the corners to keep it right-way-up is a workout in itself, so we were all pretty exhausted by the end of the day! 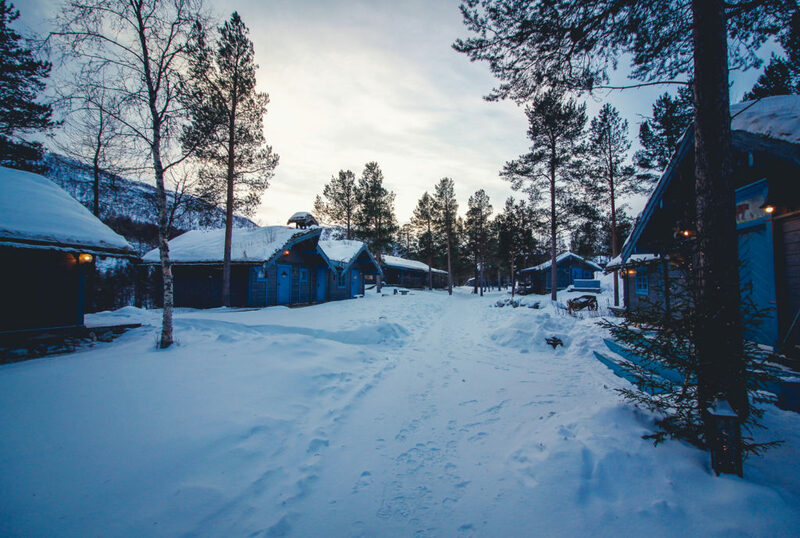 Back at camp, we were treated to a fantastic Norwegian banquet of locally sourced food, and after the meal retreated to our teepee tents for the evening. 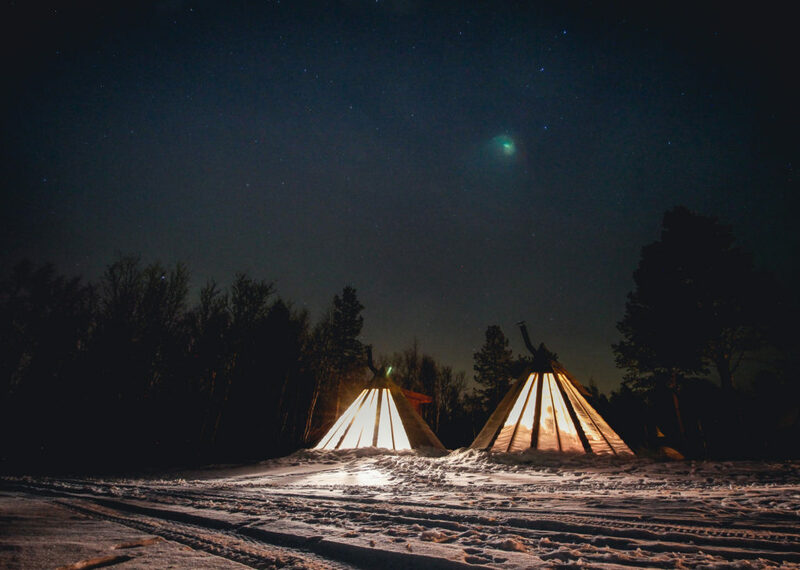 These were pretty special teepees though, with a third of the canvas replaced by transparent polythene sheet, so we could stare up at the stars, and keep an eye out for the Aurora, from the comfort of our beds. Comfort, we learned, was a relative term. The tent had its own log-burner, and whilst all was cosy and warm with it going, and cocooned under a selection of blankets, hats & gloves… at some point during the night the burner ate through it’s last log, and the fire died down to embers. Embers don’t cut it in -20°C weather! The next day, we were off out into the backcountry. 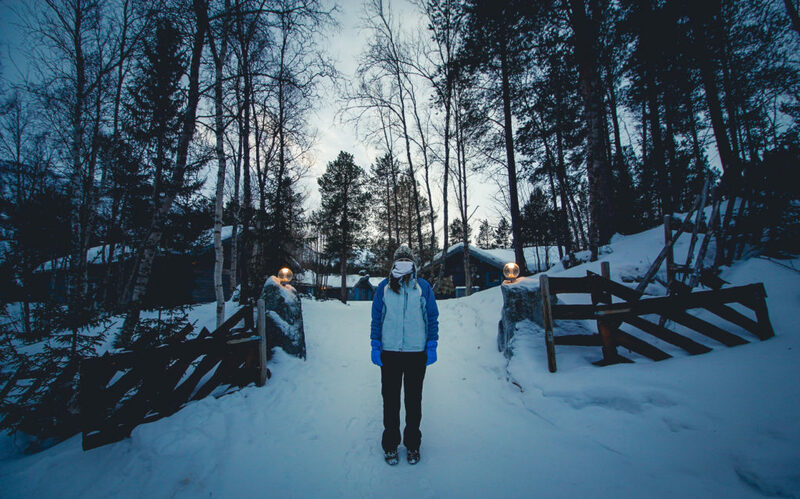 We were headed to group of remote cabins nestled in a wooded valley an hours drive inland. This was a little piece of luxury after the previous night, but before we relaxed into the oh-so-comfortable surroundings, it was time to get togged-up. Really togged-up. Snowmobile time! The expedition was a bit longer than we’d originally planned, not least because the distant mountain refuge we were supposed to have a rest at, mid-trip, was closed. By this point it was already very dark, we’d been going for a couple of hours, and temperatures were down to -30°C up on the plateau. I felt like we were getting the real adventure experience, that’s for sure! We’d started out during blue hour. Blue hour lasts a good few hours up in the arctic circle, and the light across the untouched fields of snow was just beautiful. 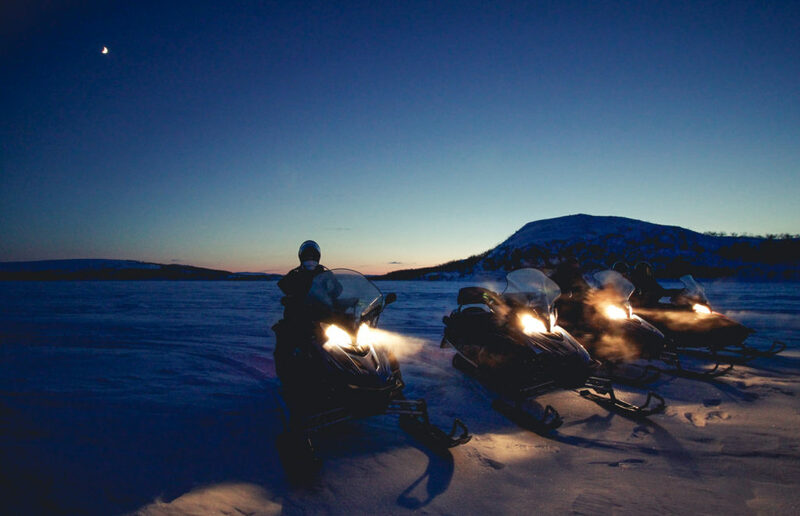 As the light dimmed, we wove our way across the plateau in our little snowmobile convoy, trying to keep in the tracks of our guide. 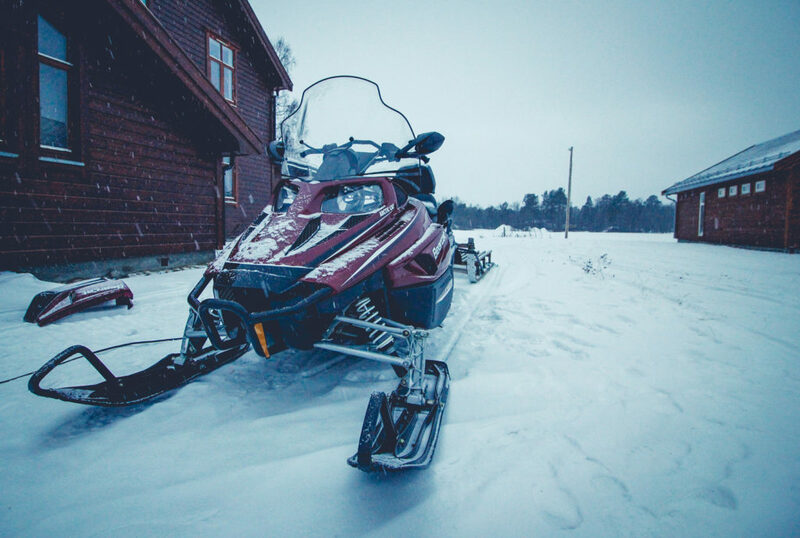 Steering a snowmobile is not like a car or bike. You have to suggest to the machine that you’d like to go in a certain direction, and at some point it’ll decide how much notice it wants to take of your intentions. 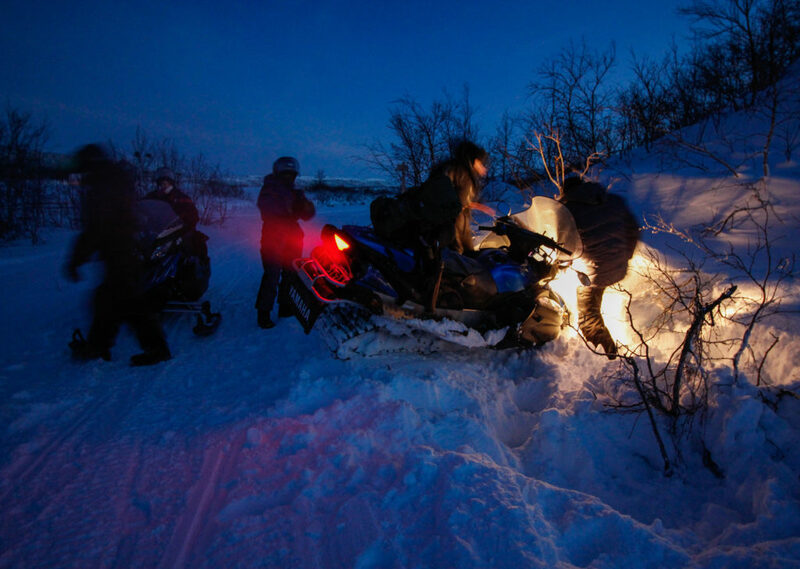 After digging one of the convoy out of a particularly deep and soft snow-bank, and later crossing paths with a husky sled way out in the middle of nowhere (apparently they practice here for the epic trans-alaska sled races!) we did eventually find an open refuge, and some much appreciated warm drinks and cake! Several hours later we made it back to the truck, loaded the snowmobiles onto the trailer, and headed back to the cabins for some seriously delicious food from a particularly talented chef. What a day! After making our way back to Alta the following day, sitting in the airport lounge awaiting our flight was quite a surreal experience. 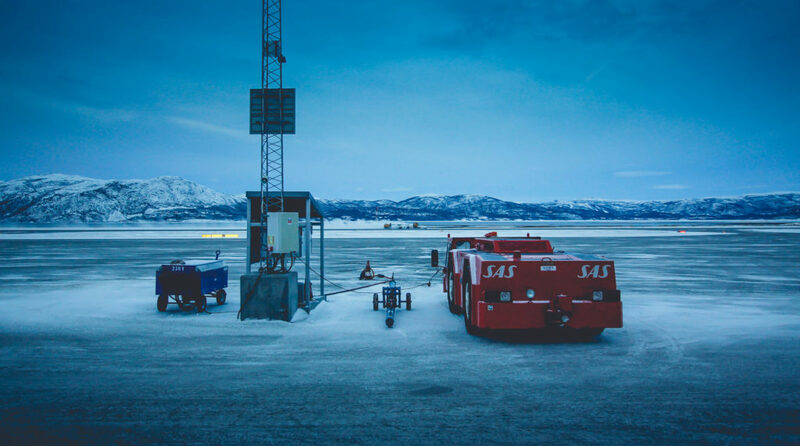 From manhandling a snowmobile through the depths of the icy wilderness, to the warmth, comfort and, well, boredom of an airport in such a short space of time was a bit tricky to get your head around. Safe to say, Norway had impressed. We will be back!